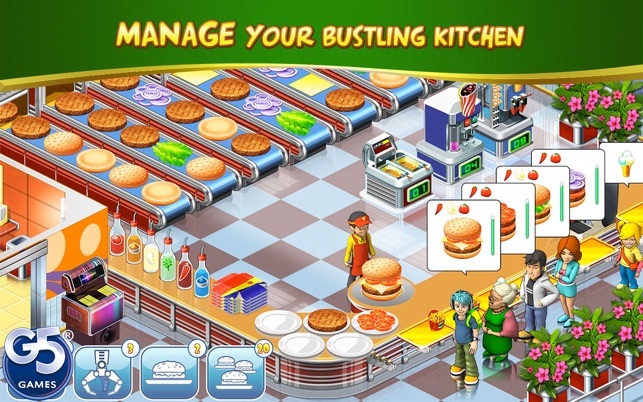 Ready to build a burger dynasty? 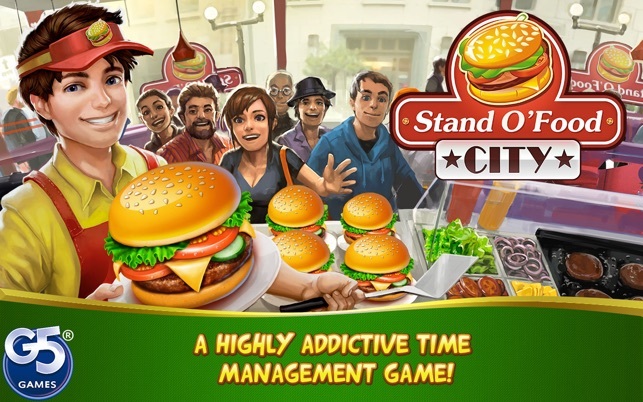 Stand O’ Food® City, the free-to-play time management game based on our popular Stand O’ Food franchise, is here! Your old friends Ronnie, Nikki and Clarence have traveled from Tinseltown to open new restaurants. But the evil Mr. Torg is trying to destroy the hard-working team’s plans per usual! I really like this game, besides the fact of the energy bar. within like 15-20 minutes i have to wait a good hour before playing again. Kind of a bummer because i’d like to be playing for longer. Also the diamonds are really hard to get…I constantly play the slot machine and it never gives. But the game is fun and the converter belt is challenging. 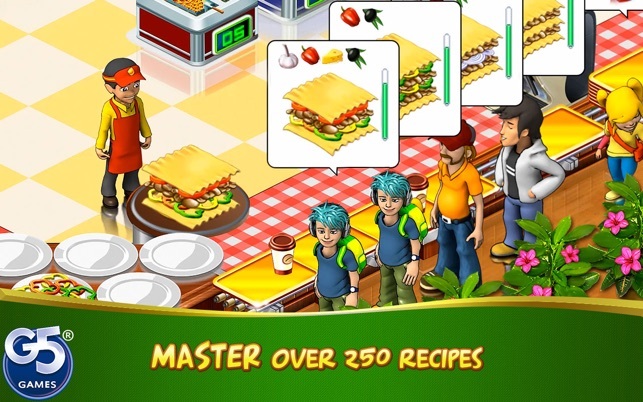 Although I also wish it wasn’t so random… makes it hard to make their food when what you want isnt even showing. Besides that, its a good challenge and a fun way to relax. Very challenging! 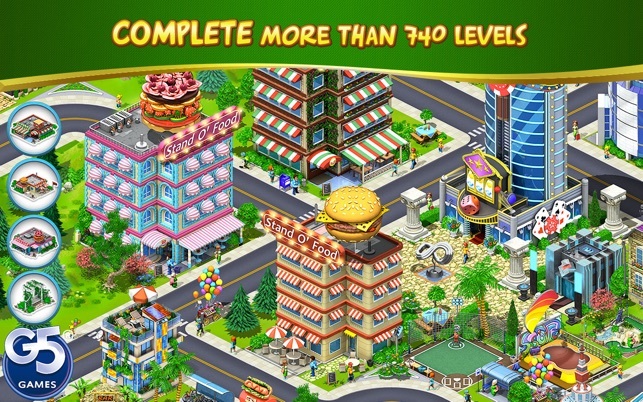 Complete quests and have a chance to build your city! Very addictive! You do have to spend real money if you want to advance in the game quickly. 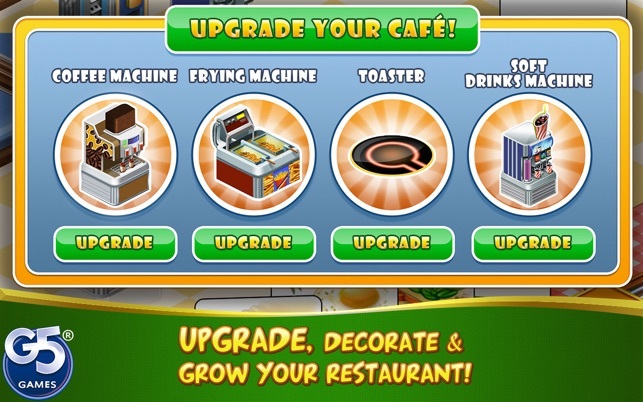 The energy bar takes a while to fill and you need more energy as you level up to play in the restaurants. Overall, it’s a great game to pass the time. I just think it’s due for an update as I finished all the quests and would like to expand my world further. I wish I was able to play the game for longer before taking a break. The energy bar gets used so quickly, but I do like the fact that as you level up the energy bar increases it’s overall total. I also like that when you level up it restores your energy to full. The game is fun so I wish I was able to play it more.